Pilgrimage is a meaningful journey to a sacred place. It provides the opportunity to step out of the non-stop busyness of our lives, to seek a time of quiet and reflection. It gives us the chance to ‘walk through’ those issues that we have on our minds, whatever they might be. It is a time of simply ‘being’ rather than always ‘doing’. Pilgrimage can also be a highly sociable activity, allowing us to enjoy the company of others we meet on the road. It gives us the chance re-energise mentally, physical and spiritually. And it allows us to reconnect with our cultural heritage and the natural world—as well as to refresh our faith or seek spiritual direction. People go on pilgrimage for as many reasons as there are pilgrims. And you don’t have to be religious to go on pilgrimage! Often, people go on pilgrimage when they are at a crossroads in their lives, when undergoing a change in their life’s direction or relationships. Others may be in search of a deeper spirituality, healing and forgiveness. Or it may be that pilgrimage marks a special birthday, retirement or other occasion for giving thanks. It’s also a great adventure with the chance to meet new people and see new places. Pilgrimage can be a life-changing, transformational experience. A time of letting go of the old to let the new come in. Pilgrims don’t merely visit a place as tourists, they come away inspired and changed by it in some way. Going on pilgrimage may give us a new sense of awareness and wonder. Or result in a greater sense of our life’s purpose. Pilgrimage helps to illuminate the journey of life by helping us to focus on ‘what really matters’ and to rediscover the joy of giving and generosity. And to have a greater appreciation for life’s gifts. Before you go, think through the reasons why you are going on pilgrimage. What is your purpose? What do you want to get out of it? Can you be praying for others as you walk? Do visit churches along the Pilgrim’s Way. Those listed here are happy to support passing pilgrims or to tell you about their own pilgrim history. 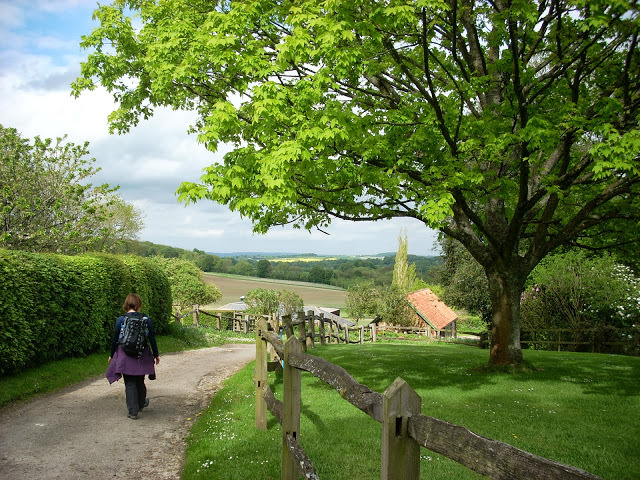 You might also want to think about staying at a religious community or retreat centre while walking the Pilgrim’s Way and join in their worship and fellowship. Several of these are listed under Accommodation. Be open to those you meet and be prepared to help one another. And mark your journey in some way—perhaps by keeping a journal, taking photos, sketching or writing poetry. Learning to be adaptable is the mark of a real pilgrim—it’s when the best things often happen. Accept that adversity is as much a part of pilgrimage as the joy and gladness that comes from reaching your destination.